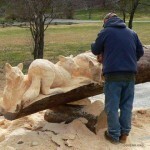 American chainsaw carver and artist Randall Boni is one of the most skillful and talented woodcarvers in the world. 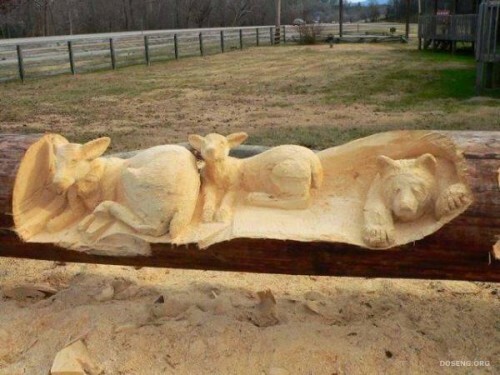 His life size hyperrealistic sculptures of wildlife are very impressive. 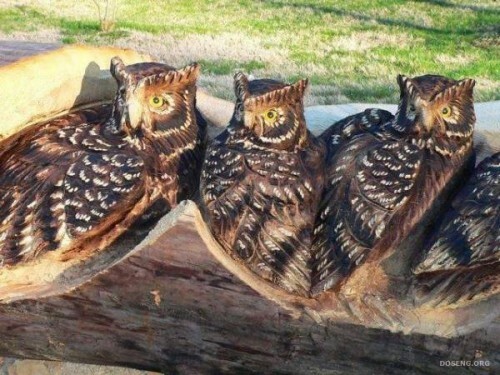 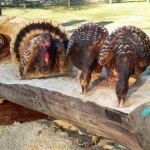 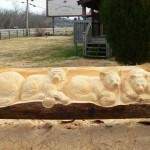 According to self-taught artist Randall, for him, wood carving is a hobby. 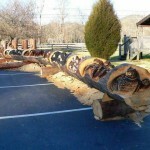 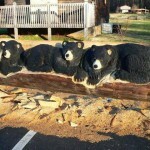 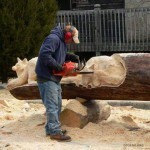 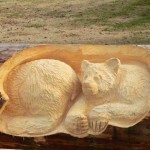 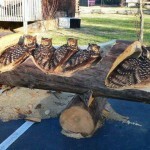 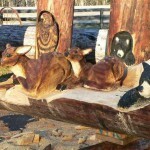 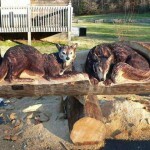 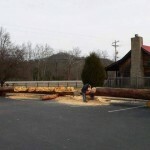 He takes a huge log, chainsaw, cuts off the excess, and begins creating artwork. 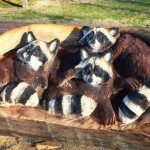 “I’m fussy about realism, proper proportion, and I try to bring life into the creatures that I carve“, says Randall Boni. 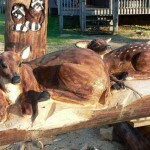 He grew up near the Allegheny National Forest, observing wildlife there – hawks, wood peckers, deer, bear, elk, which became the inspiration for Randy’s artworks. 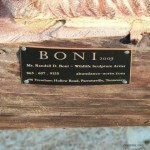 Boni has always depended on wood for his livelihood and has a deep respect for trees, conservatism, proper forest management, and safeguarding nature, not destroying it. 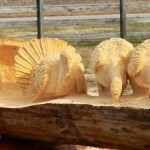 “If a tree is dying or has to be taken down, I feel I’m preserving some remembrance of the tree with my carvings,” he stated.